Saving Greys, by GREY2K USA Worldwide: To Greyhound Breeders Dogs are Merely "Overstock"
To Greyhound Breeders Dogs are Merely "Overstock"
Earlier this month the National Greyhound Association (NGA) held a semi-annual dog auction in Abilene, Kansas. These events occur in the Spring and Fall, and are one of the last remaining vestiges of commercial dog racing. 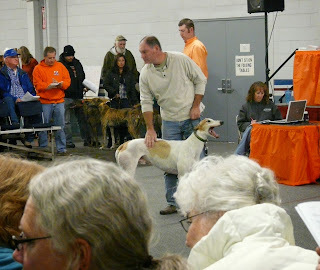 At these auctions young greyhounds are sold off to the highest bidder. Older females are also sold, destined to live as breeding dogs for the racing industry. Greyhound breeders claim that they love their dogs. 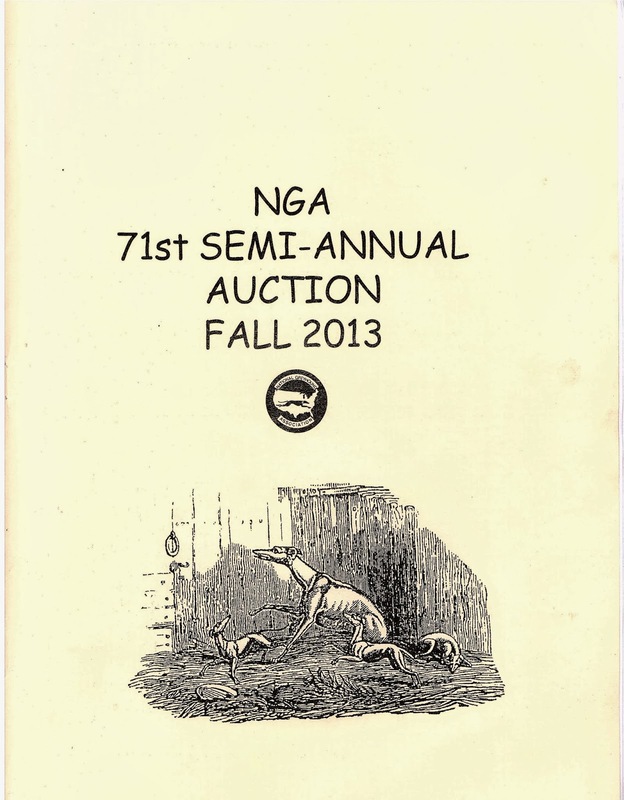 However, reading through this year's official Fall Auction Program, it seems that the dogs are nothing more than products. For example, the entry for a three-year-old female greyhound named WW's Fly Away indicates that she is being sold as part of an "overstock reduction sale." In total, twenty greyhounds had nearly identical notations. 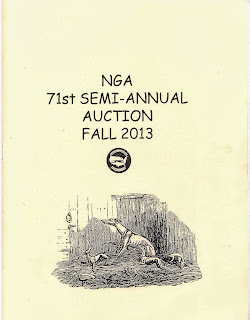 All of these dogs were being sold by greyhound breeder Julia Ward who was just elected as President of the NGA. "Last bred to Little Andy, whelped naturally, but all pups died." One of the greyhounds being auctioned off for breeding was nine years old, and at least seven other dogs were eight years old. The entry for one of these greyhounds, Flying Dawn, states that she has "produced top grade racers in her first two litters." Another entry, for eight-year-old Flying Brookside, states that she "offers the opportunity to own a Kiowa Sweet Trey daughter" and adds that two of her sisters have "been excellent producers." Similar language is found in the entry for SE's Kelsey C, which indicates that she was being sold "to dissolve a partnership." This is what greyhounds are to the commercial racing industry. They aren't members of the family, but instead are "opportunities" and "producers." Rather than living beings, they are "partnerships" and "overstock" that needs to be "reduced." "Had nagging problem that affected her racing career." "She was injured in second start of Puppy Stakes." "She got hurt her seventh start." Beneath the public relation facade, this is the true face of the greyhound racing industry. A dwindling number of people who buy and sell eight-year-old greyhounds and view them as nothing more than "producers" and "overstock." This kind of ideology is out of touch with mainstream values, and will soon disappear with the industry it supports.